Ireland has some man-made wonders in addition to its natural wonders - some ancient, some medieval and some quite modern. Find out more about Newgrange, Knowth, and Dowth, about the Carrowmore Megalithic Cemetery, about Ireland's round towers, about the High Crosses, about the Book of Kells, about the Leviathan, as well as Samson and Goliath. The largest megalithic cemetery in Ireland, just a short drive from Sligo Town, is accessible to visitors without any problems. What may be more of a problem is making sense of the many monuments and their alignments with each other, natural and distant man-made landmarks. This place was undoubtedly important to our megalithic ancestors ... we just can’t remember why. Sticking out of the nowhere in some unlikely places, round towers are the typical Irish contribution to ecclesiastical architecture. Their origins are obscure but experts agree that they were first and foremost used as bell towers for monasteries. There are many towers in stunning landscapes, with the (restored) complete tower at Glendalough being one of the best known and most photographed. Even if it may mean queuing for hours - if you are at all interested in medieval art, try to see the Book of Kells. It is one of the most splendid examples of illuminated manuscripts and will simply blow you away. Unfortunately, only two pages of the original are on view at any time, so seeing the whole book will take some serious time. Trinity College is home to the Book of Kells.The Chester Beatty Gallery has further illuminated manuscripts of note. Compared with the Hubble space telescope, "Leviathan" may seem like small fry - but the telescope in the grounds of Birr Castle was once the largest and most powerful optical instrument in the world. Installed in 1845 by William Parsons, third Earl of Rosse. It still is stunning, having been restored a few years ago - and despite losing its "world's largest" status in 1917. Staying on a biblical theme but heading north - "Samson" and "Goliath" dominate the skyline of Belfast and are a powerful reminder of the shipbuilding days. 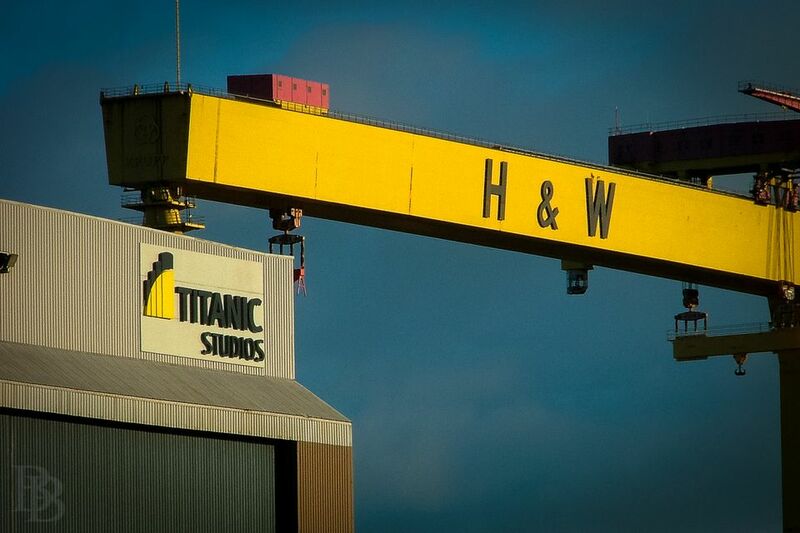 Now regarded as historical monuments, both cranes served the renowned shipbuilders Harland & Wolff from the 1960s. The same people who brought you the ill-fated ship "​Titanic," at its time another man-made wonder of the world. How is Guy Fawkes Night Celebrated in Ireland?